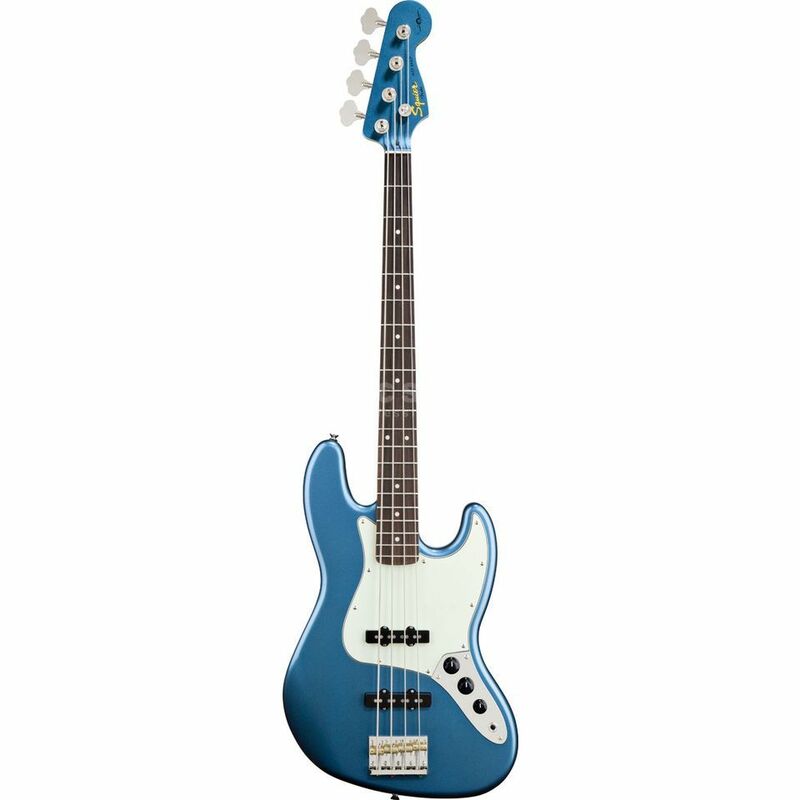 The Squier James Johnston Jazz Bass Lake Placid Blue puts James’s own personal touch on a Squier Classic Vibe series instrument. The Squier James Johnston Jazz Bass features a basswood body, vintage-tint gloss-maple neck with matching painted headcap, James’ signature on the back of the headstock as well as the Biffy Clyro band logo on the front, 3-ply mint green pickguard, two custom single-coil Jazz Bass® pickups, and a “HiMass” bridge with brass barrel saddles. What a bass! Excellent Value for money. I first tried out this bass instore. I wasnt looking to buy anything at the time, I just wanted to visit the store and check out the collection. I was surprised at the craftsmanship this bass had given its label. Ive played a couple of Fender basses and even owned a Mark Hoppus Signature many moons ago and this just felt a lot better to hold and play. A bit heavier obviously but lets just put that down to "bang for your buck" Aesthetically, Cosmetically and Ergonomically an awesome bass. As a fan of Biffy CLyro and also a bassist I was a bit miffed they dont have an actual Fender version as opposed to Squier but this surpassed my expectations, Good Stuff! !